The Buffalo Bills move to 3-1, and stand at the top of the AFC East standings after handing the defending NFC Champions Atlanta Falcons there first loss of the season 23-17. Many would consider this to be one of the biggest road victories in 25 years. 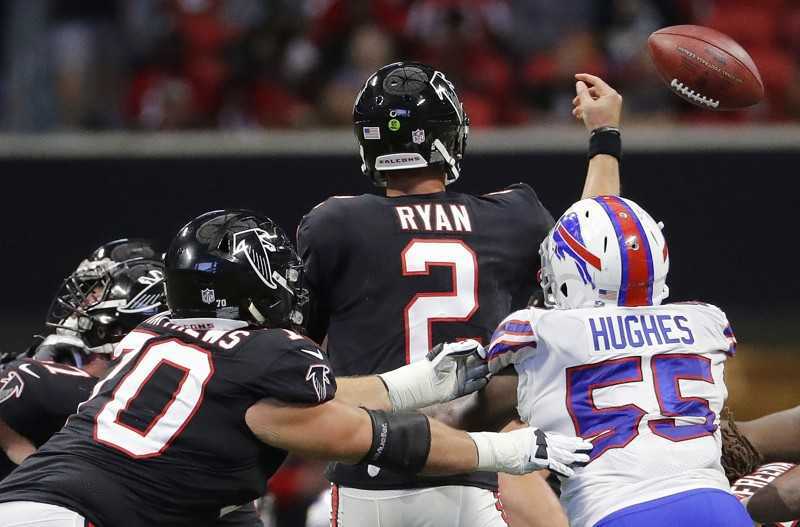 The Bills defense held Atlanta to 17 points, something that hadn't been done to them since week 10 of the 2016 season. The hard hitting defense caused several turnovers during the course of the game. Charles Clay was the leading receiver and Tyrod Taylor threw for a little less than 200 yards. LeSean Shady McCoy didn’t gain more than 80 yards rushing. The Bills didn’t turn the ball over and their defense played great. Buffalo will face the Cincinnati Bengals next, they blew out the Cleveland Browns today!